These photos are all so dark and poorly edited colour-wise because I decided to take them at about 7pm in my room with only a lamp lit, but hey at least I made an effort! Yesterday night I decided to rearrange my bedroom a little- I think it can be surprising how refreshed you feel from such a little change! I remember reading about Feng Shui in a National Geographic Kids' magazine when I was younger, and I wish I'd kept the article because I'd really like a simple know-how to fix my furniture in a decent way! Anyway, in a room-proud moment I thought I'd show you a couple of highlights. The above picture is quite a flattering version of my bookcase (a wardrobe full of books with the door ripped off). Along with books messily places on top of one another, it also holds my dreamcatcher, a couple of ornaments such as the hedgehog one out of focus there, my Ravenclaw flag and a flower brooch from my brother's wedding. On my chest of drawers/table in the corner of my room, a few presents from my birthday accidentally built up to being some sort of deco. 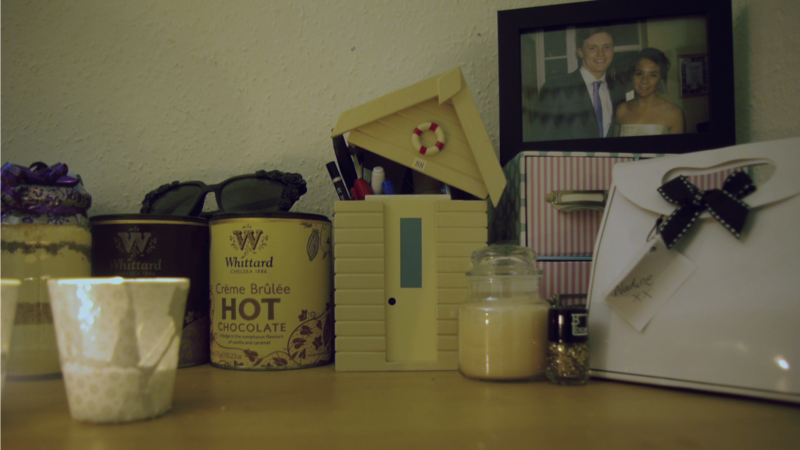 The Whittard hot choccies and Yankee Candle were presents from my birthday in July, the jar full of gingerbread and the giftbag on the right are from Christmas last month (the giftbag contained my favourite present) and the candle holders burning were a present from the Christmas before! 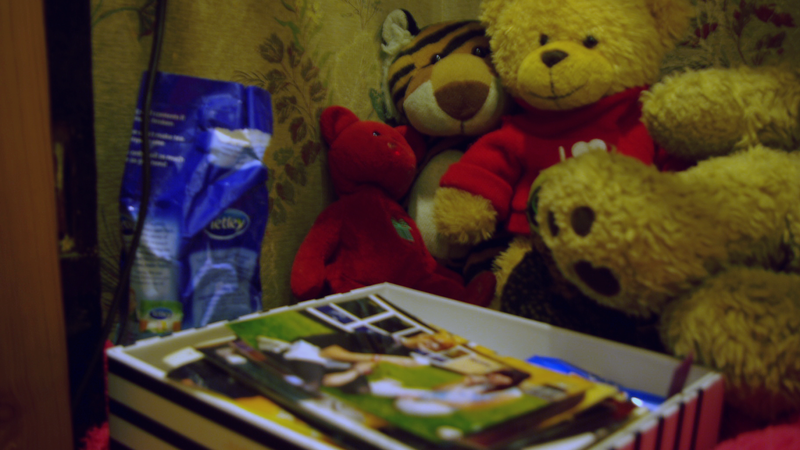 Unfortunately I had to omit my tatty bedside table so the cubbyhole next to my bed is the next best thing. I have a makeshift tray from a Jean-Paul Gaultiere gift set where I've placed my notebooks and photos that have fallen off my wall. The toys you see are the ones I hold close to my heart and couldn't possibly throw away, even when I'm 80. And that pack of Tetleys? I have an emergency tea stash that I bought once after two days without tea. I get serious about this stuff. There you have a tiny peek into where I spend my days, I swear it's brighter in person! Thank you, it was a birthday present! 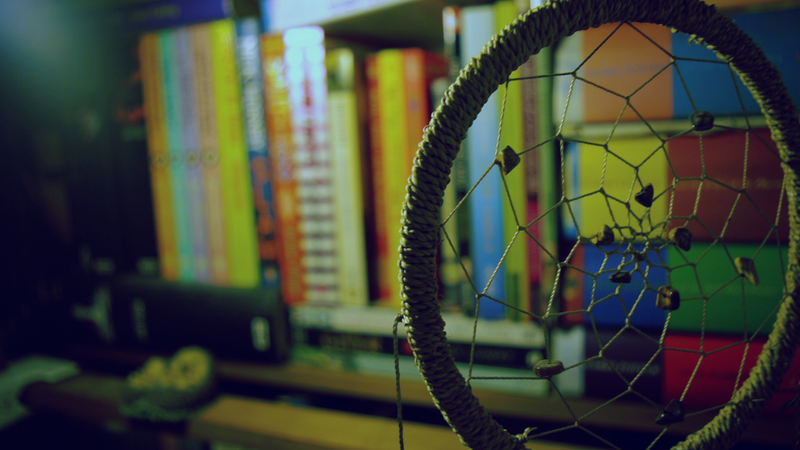 Hello lovely, just came across your blog and it's great - love the dream catcher!